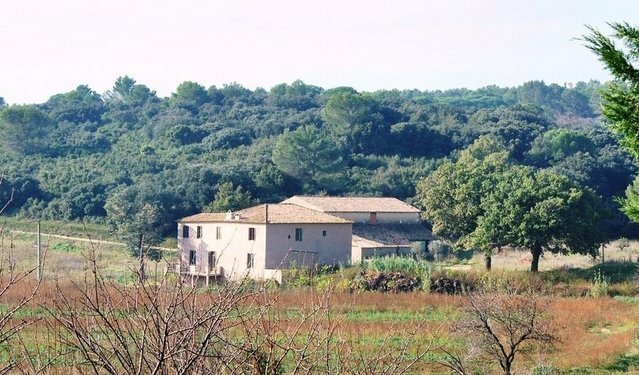 Property ideally located in the "plain of the Costière", between Nimes "La Romaine" and the natural park of the Camargue, on the pilgrimage road of Saint Jacques de Compostelle on beautiful grounds spanning 22 hectares. Originally a farm dating from the seventeenth century, at the time of the Templars monks came here to produce their wine ... The main body of the Farmhouse offers approximately 500 sqm. The house is in need of renovation, the rooms are spacious with old materials giving the future owners the opportunity to make their own mark on this unique property. The complex includes a farm building of 200 sqm and a caretaker's house. The land is rich and irrigated. This property has an incredible potential: of a primary or secondary home, cottages, riding centre, the possibility to create a vineyard, or fruit production ... Close to all amenities, highways, airports and train station.